Since 2003, we at Colorcircus have been developing, designing and producing timeless and high-quality color advising products that are used internationally for a more colorful world. Colorcircus was founded with the aim of developing and producing professional work material for professional color, style and image consulting. Claudia as an architectural drafts woman, graphic designer and image consultant had concrete ideas about how a good quality of advice should be reflected in the material that is passed on to the customers. Michael, who worked as project manager before Colorcircus, is in most cases your first point of contact via e-mail or telephone. He organizes workflow, administration and order processing. With dedicated staff, Colorcircus has grown into an international "think tank" and manufactory that specializes not only in the widest range of standardized color guides, but also in special developments tailored to customer needs and color schools. All products are designed in our own studio and tested before going into production in the Colorcircus manufactory. 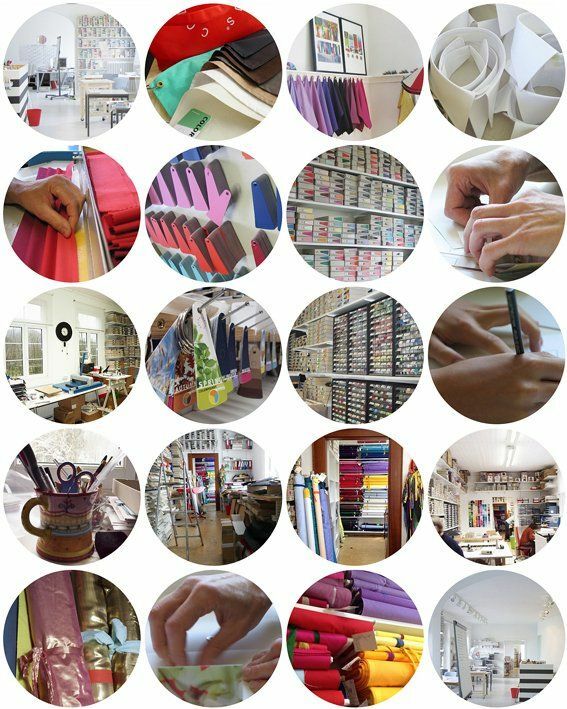 This is where our ColorPocket® color fans, the FlagFolder and FlicFlag Fabric color fans and most other products come into being. In cooperation with small tailors the ColorFlag consultation tissues and ColorJokers are produced in Germany, the fine leather bags PocketFlyer and PocketDip are sewn for us. We value high, sustainable quality and good and distinctive design. The pleasure of working with beautiful materials always accompanies us. The exchange with our customers all over the world has a direct influence on the compilation of many products. Working with hundreds of bales of material and now millions of color tiles is a huge challenge for us every day and an exciting discovery story. We look forward to you continuing to accompany us on this journey! We have an open ear for your inquiries, your curiosity and your suggestions. Please get in touch with us! A rest with a companion. Great fun like a child in the fresh snow behind the house. On tour with my bike. Mike´s favourites are mountain biking, beeing outside, the Black Forest, Australia, travelling, all kinds of sports and spaghetti ! Plants in any free place. Guest for a summer in our garden. My favourite sunglasses in black and white. Claudia´s favourites are animals and plants, especially our dogs, creative working, colors & patterns, architecture and design, books, meeting friends and, of course, Mike´s ultimative world´s best cheese cake !